The U.S. economy officially “tanked” into a severe recession in December 2007, according to CNN Money. In this economy, many companies have been closing, down-sizing, or fleeing high-taxation states for low-taxation states leaving unemployed workers behind in numbers not seen since the “great depression.” Many families are challenged just to clear sufficient income to pay for rent or mortgage, food and utilities. Taking days or weeks to compile and then file returns is not a high priority under such financial stresses. Often one year of not filing becomes two, then three, and so on at which point many taxpayers find themselves facing a number of years of uncompleted and unfiled returns. Now you feel overwhelmed by even the thought of diving in and resolving the mess. Other taxpayers miss their objective of depositing estimated tax deposits; business owners attempting to survive miss depositing quarterly payroll taxes obligations (941); while other taxpayers may have managed to file the appropriate reporting paperwork but owe back taxes and there simply is not enough money to settle up. Back taxes, unfiled returns and most other tax problems are an expected and common consequence of these tough and frustrating recessionary times. No matter the reasons for a taxpayer’s problem with the state or IRS, we all know that eventually we must finally deal with these powerful agencies which have the unlimited power of the government. If we don’t get our IRS or state problems under control, we know it will just get worse. Our experienced Tax Resolution Lawyers and legal professionals offer our clients varied tax-resolution services to deal with all of these stressful situations and turn your stress and anxiety into hope and optimism for a final solution and a fresh start . If you owe back returns and/or back taxes to the IRS, you should know that the IRS is essentially the largest and most successful “collection agency” ever. The IRS has only one goal: to collect taxes owed to them in any manner possible. 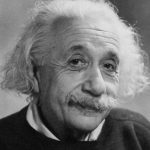 They are all-powerful and will use extreme methods to achieve their goal. They will use all the tools they have available including filing tax liens, executing bank levies, establishing embarrassing and debilitating wage garnishments, even seizures of homes, vehicles, and other assets. On the other hand, the IRS has created several options that can be used to assist taxpayers who owe back taxes pay what they owe over time or significantly “forgive” all or part of their tax liability through Offers in Compromise and other helpful programs. If you ignore the IRS, these programs cannot benefit you. But if you pro-actively take advantage of these IRS programs, you can dodge the misery that might be coming your way or put a stop to the misery that is already causing you and you family grief. The IRS has two programs that are good options for those who owe back taxes. One option is an Installment Agreement Program which allows you to pay off what you owe in monthly installments. Our Tax Resolution Lawyers have the experience necessary to negotiate a more affordable payment than you will be offered if you don’t have skilled representation advocating your case. The IRS has another option called an Offer in Compromise which allows you to pay a small portion of what you owe, and be forgiven the remainder of your tax-debt liability. There are certain requirements you need to meet to qualify for the OIC program and we can see if you meet those, or if close, work with you to help you demonstrate that you meet the requirements. Federal laws are highly complex. When you find yourself “behind” in filing returns or payments with such a ruthless government agency as the IRS, it is not unusual for many taxpayers to find themselves literally unable to do anything more than stress-out and lose sleep over their ever-increasing feelings of powerlessness and anxiety. The good news is, that one phone call can start the process of becoming in compliance and whole again. You can turn your seemingly hopeless or debilitating tax problems over to caring and compassionate Lawyers who will provide the strong and effective legal representation you need to be taken seriously. We will negotiate with the IRS or state agencies that you owe back taxes and/or unfiled returns to. We will talk to the IRS and other taxing authorities on your behalf, as your legal advocate, and negotiate a resolution for your state or IRS problems. You can go on with your daily life while we get everything all straightened out. If you are facing a state or IRS audit, we can help you prepare for it and then represent you as your legal representative. If you are facing a sales-tax audit or payroll audit as a business owner, we can be your legal representative before the California Employment Development Department (EDD), or the IRS. As with all serious taxation matters, it is vital to speak with a qualified tax-law attorney who understands exactly how the taxation authorities work, and what is necessary to get your state or IRS problems solved once and for all. More than 25 million taxpayers face tax controversies and disputes for sums ranging from $1,000 or less to millions of dollars. We work with cases of all sizes and focus on reducing your fear and confusion while helping you and/or your business achieve a state or IRS resolution solution that will allow you to get this mess behind you and move forward. For more information and to schedule a no-obligation confidential consultation, contact our taxation lawyers at Vincent W. Davis and Associates by calling 626-446-6442 or contact us using the contact form at the upper right. Learn The 30 RED Flags! Do you ever wonder why some people’s returns are targeted by the IRS for audit while the majority are accepted on face value? 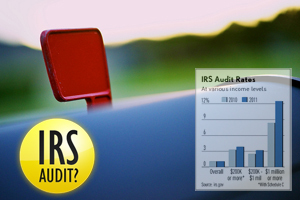 Generally speaking, the IRS audits slightly more than 1% of all individual returns each year. So while the odds in your favor that you will fall into the 99% of non-audited returns, there are some IRS red Flags that, IF YOU AVOID, will help make you remain in the 99% group. Do You Live in FEAR of the IRS? 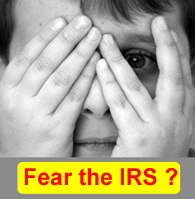 Do you live in fear of the IRS? Do you have unfiled returns? Are you a taxpayer who owes back taxes? Are you a business owner who missed depositing employer payroll taxes? Are you one of the last holdouts who has not yet declared an offshore bank account as required by the IRS? Let’s face it, state and IRS problems can happen to anyone —and they do! In fact, 1 in 6 Americans are in some sort of trouble with the IRS. You have a lot of company and you are not alone in your anguish. An IRS tax lien or state tax lien is the first major step that the IRS and/or state will take against a taxpayer in order to collect back taxes from an individual. An IRS bank levy on your bank account can be disastrous. IRS Bank levies can cause critical checks to bounce, expensive bank service charges, and loss of funds you need for ongoing living expenses. Taxpayers are often shocked to learn that up to 90% of their salary can be withheld and forwarded to the IRS on each and every paycheck! The IRS can Forgive Tax Debt using various tax settlement methods. We can assist you with (1) Offer in Compromise, (2) Abatement of Penalties and Interest, (3) Hardship or “Currently Non-Collectible” status, or even (4) Bankruptcy. Many people are mentally debilitated with the fear, worry and stress of unpaid liabilities which, in many cases, have collected and compounded over the years with no apparent light in the taxpayer’s dark tunnel. If this is you, stop agonizing and take action! There is hope. IRS Installment Agreements allow a taxpayer to pay delinquent tax liabilities over time. For many taxpayers who have back taxes or an insurmountable tax liability, paying what is owed all at once simply isn’t possible. Establishing an IRS Installment Agreement can make paying a tax liability much more manageable. The experienced and compasionate Lawyers at Vincent W. Davis & Associates, provide a no-obligation, confidential consultation and have evening and weekend appointments available. Not only are we affordable, we are flexible too. We accept all major credit cards and can devise a payment plan that makes the process of solving your state or IRS dilemma as painless as possible. We are here to help. Tax Resolution Consultation. Call us today. We have seven offices throughout Southern California for the convenience of our clients including West Los Angeles (Beverly Hills), downtown Los Angeles, North East Los Angeles County (Arcadia), the 5 and 605 freeway corridor (La Mirada), Orange County (Irvine), Riverside County, and San Bernardino County (Ontario). Moreover, we can conduct business by phone and Internet for those out of the Southern California area or clients living out-of-state. To schedule a confidential consultation with one of our skilled and experienced Tax Resolution Lawyers call 626-446-6442.